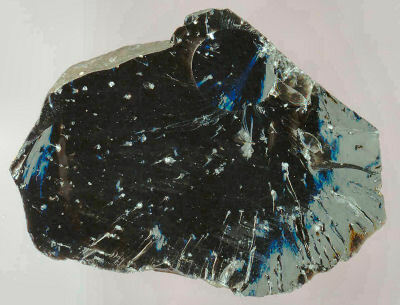 Porphyritic obsidian from the Indian Rock source (AKA Unknown Variety A). The geologic location of this source, one which was occasionally identified in geochemically characterized artifact collections from southcentral Washington and northcentral Oregon, eluded archaeologists for many years. It was finally located by chance in 2004. Click on the PDF link for an Adobe Acrobat document with additional source information.